Although we have little choice about loss and the ensuing grief, we do retain choice on whether we will grow up or down, or grow bitter or better, as a result of our loss. This is an inspirational program about positive change and action by the bereaved in the aftermath of loss. It is appropriate for all professionals working in hospice and palliative care, counselors, clergy, funeral professionals, and any professional whose practice involves the bereaved. This program will touch the heart of anyone who has experienced loss with stories of people who have found meaning and purpose through loss and will offer clinicians tools to support and encourage transformative growth in grieving clients. To view a preview, click here. Attendees will receive 2 CE credits! 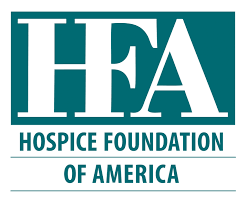 This program provides Free 2 CE Credits available online directly through the Hospice Foundation of America (following the event). This program is part of the HFA’s Living with Grief® program. Program will consist of a 95-minute educational video followed by a 25-minute panel discussion. This is a free event, but pre-registration is required as seating is limited.